Medical errors happen every day. Proving medical negligence involves meeting strict legal burdens, but it is possible to recover in a lawsuit. Medical negligence and medical malpractice attorney Jorge P. Gutierrez Jr. is a Board Certified Civil Trial Lawyerwith extensive trial experience necessary for you to get the maximum compensation you are entitled to. 1-Duty of Care. Medical professionals and the facilities where you give birth have a duty of care, by law. This duty of care is established because of the patient-doctor relationship and extends to delivery nurses and anesthesiologists, as well as other medical professionals. 2-Standard of Care. The duty of care in a particular case depends upon the reasonable standard of care to be expected of a professional in a similar situation. A physician who does not specialize in obstetrics for example, would not be held to the same standard of care as to whether a Caesarean Section is an appropriate action or not. 3-Breach of Duty. If a doctor breaches his or her duty or deviates from the expected standard of care, he or she may be found to have acted in breach of duty. Examples of breach of duty in childbirth are failing to detect fetal distress or failing to assess risks of vaginal delivery and recommend a C-section. 4-Causation. The link between injury and a doctor’s breach of duty is causation. Real harm must be suffered in order to have a valid medical negligence claim. 5-Damages. Damages equal the amount of actual loss suffered. There are economic damages, such as medical bills, and noneconomic damages, such as pain and suffering. 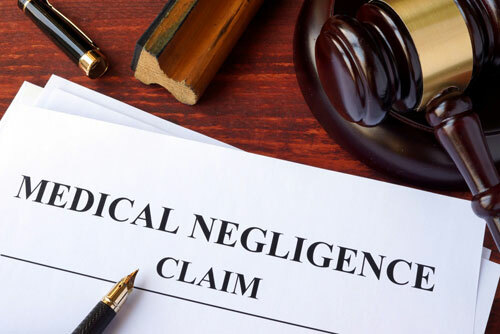 When medical negligence is committed by physicians, hospitals, HMO’s, and other providers in the field of health care, the result is often serious injury or death. Pharmaceutical errors can occur, in which incorrect medications or wrong dosages are prescribed, leading to injury or a fatality. In hospitals, IV bags, pills, and shots are sometimes administered that were prescribed for another patient. Another place where medical negligence occurs is in nursing homes. Patients in nursing homes are often injured by medication errors, improper use of medical devices, and care from unqualified staff members. Contact board certified medical negligence attorney Jorge P. Gutierrez Jr. of The Gutierrez Firm for experienced representation related to a medical malpractice claim.